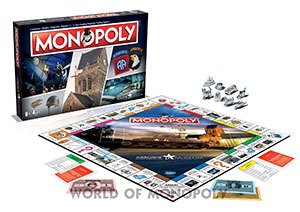 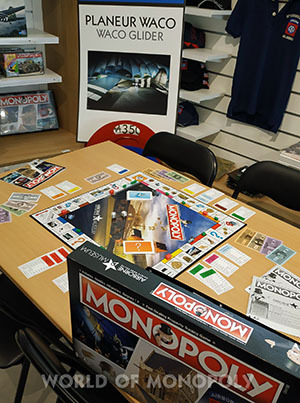 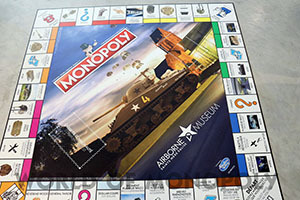 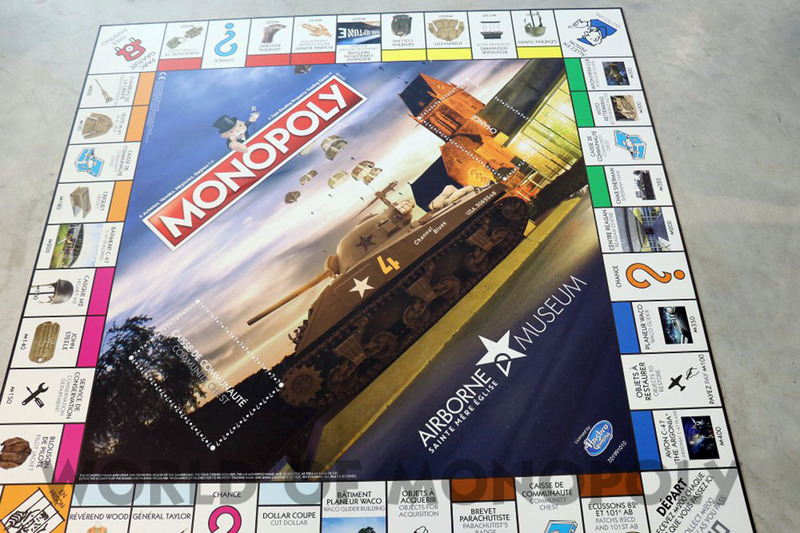 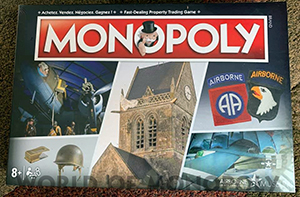 The Airborne Museum of Sainte-Mère-Eglise presents its own edition of the Monopoly game. 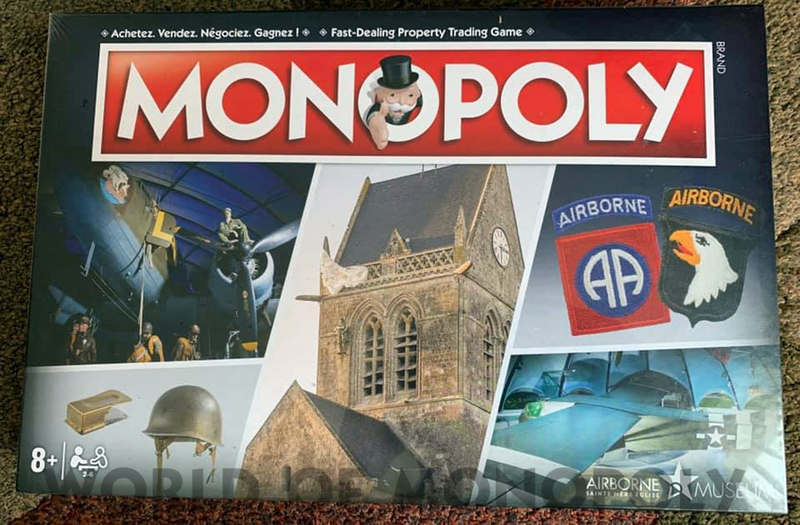 In this version, the street of peace gives way to the Waco glider, the place of Paradise has become an M2 helmet and instead of becoming owner of the boulevard des Capucines, players will acquire a Sherman tank. The players are thus in the shoes of a museum curator and will compete to acquire the most beautiful collectibles of the Airborne Museum In addition to an entertainment, players will have information on collectibles present on the set of game. 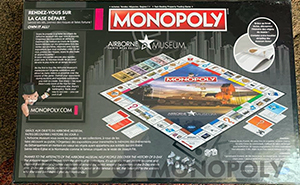 A booklet contained in the Monopoly gives historical information specific to each piece. 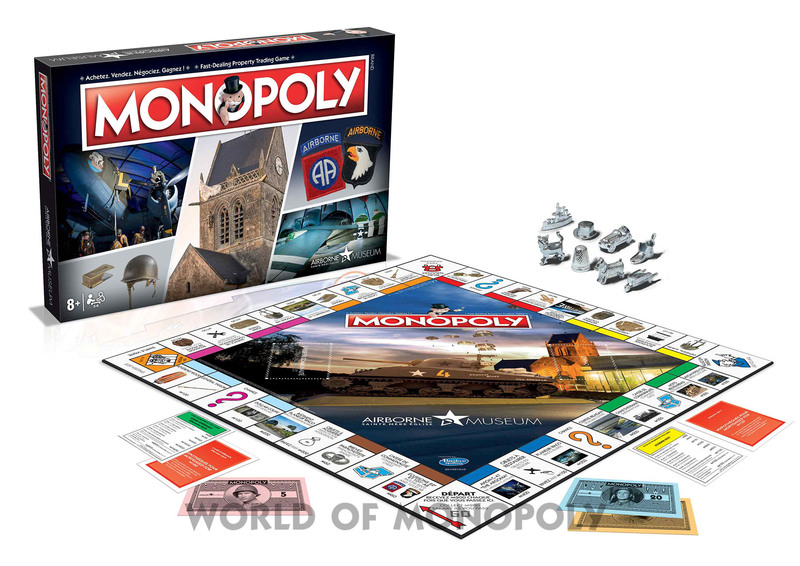 Thus, young and old will learn more about the cricket, the Rupert doll or the moving story of the dollar bill cut in three.